Getting to know Ryan David Smith. 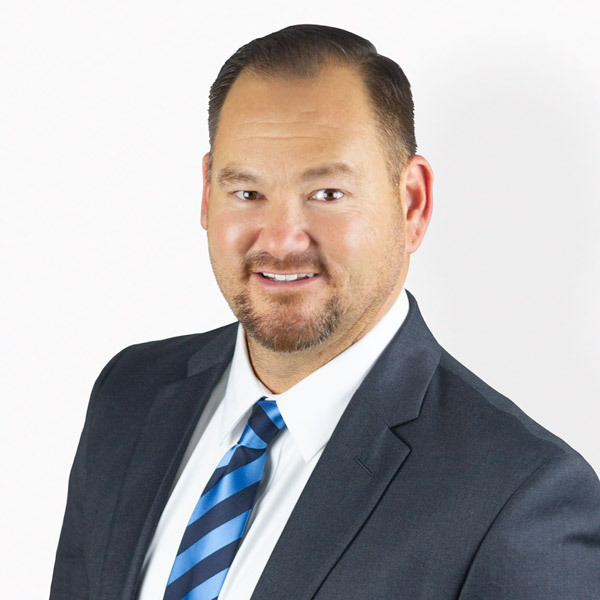 Ryan Smith entered the real estate and mortgage industries back in 2001 and received his California real estate license in 2002. Ryan’s first experience was as a loan processor, but he soon realized he liked talking to people much more than pushing paper. He quickly climbed the ranks and became a top producing loan officer. Once that goal was achieved, Ryan opened his own mortgage and real estate company at the young age of 25. Everything was moving along as planned and then the financial meltdown happened! Like many people at that time, Ryan faced some great financial hardships. This helped fuel his passion to help people. Enter Short Sales – Ryan’s business took a rapid turn and he found himself battling with banks to help his clients avoid foreclosures. “This was very rewarding work. Not easy, but very rewarding. Anytime you can negotiate a win for your clients, then you know you’ve done your job to the best of your ability," says Ryan. Ryan’s background in the mortgage industry along with his vast knowledge of the many facets of the real estate industry is a huge advantage for his clients. In 2015, Ryan received his California Real Estate Broker’s License. Since then he has owned and managed real estate firms, all while still helping his clients buy and sell real estate. In 2019, Ryan made the decision to join Harcourts Prime in Aliso Viejo as a Broker Associate after a year of recruitment efforts on their part. This was a move that required a great deal of analysis, but Ryan realized the value add this will bring to his clients. “Harcourts' Auction platform alone is such a tremendous offering for my clients," he says. Ryan’s unique approach to keep things real, easy to understand and not take himself too seriously has been a hit with his clients. Ryan feels it's his obligation to become the people's advocate in an industry that has questionable morals and standards. Outside of his career in real estate (yes career, Ryan’s a full-time real estate broker), Ryan is busy with his family. Ryan and his wife Kelly are high school sweethearts and have been together since 1994! They have four amazing kids and are enjoying life every day. What Ryan David's Clients are Saying. Ryan is a very kind, honest, and professional person/realtor. He was able to sell my house very quickly and kept me informed about the process every step of the way. I would highly recommend him to anyone who is looking to buy or sell a home. My dad has used Ryan for multiple sales and purchases so he gave me the referral when I decided to buy my first place. The whole team here is awesome. I had way too many questions and these guys were extremely patient in answering and walking me through everything. They were on top of every step of the process from finding the right place to making an offer to signing to getting our keys. I know we couldn't have found a better team to help us get our first place. I was crazy nervous to start the process but Ryan and his team made me feel comfortable throughout it all. I couldn't be happier with them. Give them the opportunity, you're not going to find a better team than Ryan's. Ryan was awesome!! We know that we wouldn't have gotten our house if Ryan wasn't our agent. He went to battle for us and used all of his knowledge and persistance to ensure that we got into our new home. So glad that we found him. I would recommend Ryan to all of my family and friends. His services did not stop once we moved in. He has called several times to make sure we are doing well and that everything with the house has worked out. We think of Ryan as more than a realtor but as a forever friend that helped us accomplish our dream. Ryan was great! He helped my mom and I sell a home and purchase another. He was always prompt, courteous, and on top of everything. He kept us informed every step of the way. I would highly recommend Ryan to anyone looking to buy or sell a home!! Ryan and his team were very professional! They have always answered all my questions and concerns very quickly. I highly recommend him and his team to anyone needing to sell their home or buy one. Ryan helped me purchase my first home and I couldn't have asked for a better experience. Ryan and his team's responsiveness, support, guidance, knowledge, and genuine care made the entire process stress free and actually enjoyable! They truly go above and beyond to make sure that you are happy and informed every step of the way. I highly recommend Ryan to anyone looking to buy or sell a home, I know I won't ever consider going anywhere else for my real estate needs. Thanks Ryan, you are the best! This is the best group of people you can work with. Very professional, and extremely knowledgeable. Ask for Ryan! He's always on point, and will go out of his way for you- he won't let you down! Ryan was great! He showed us the homes we wanted to view on short noticed and recommended others. We were on a tight timeline and Ryan was able to negotiate a great deal for us. I will highly recommend Ryan to anyone looking to buy or sell a home. As a first time homebuyer I was excited and scared going into the ‘unknown’ but Ryan Smith basically held my hand and walked me through the whole process. As we hit a few hurdles, Ryan was very professional, patient and reassuring. I would recommend Ryan to anyone looking to buy a house or for any financing needs. Ryan helps rebuild lives and makes dreams come true! A Selection of Ryan David's Recent Sales.